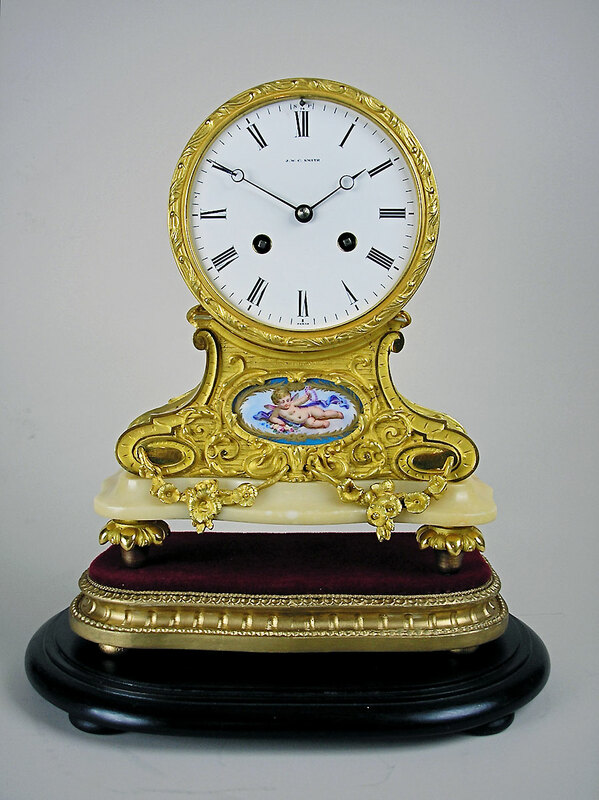 This is a gilt bronze drumhead mantel clock signed on the five inch dial by retailer J.W.C. 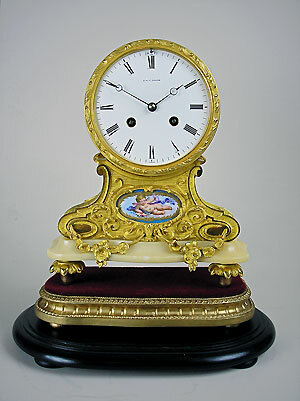 Smith of Paris and made by Achille Brocot. 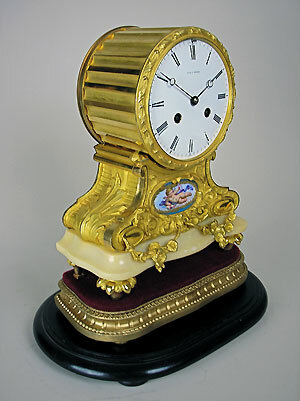 The 14-day movement includes rack-striking on a bell and the waisted case is decorated with scrolls and flowers. 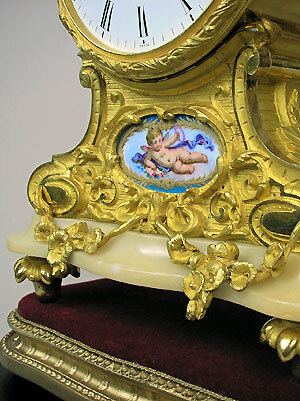 In the centre is a porcelain plaque with a hand-painted putto. 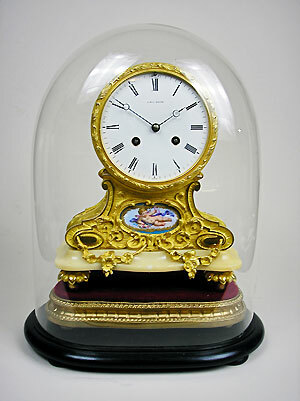 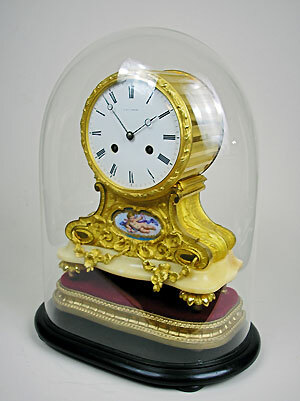 The case is mounted on a moulded alabaster base, raised on toupee feet and stands on a giltwood pedestal under a glass dome with an ebonised base.